Music tells the viewers what to feel when they watch your movie. You'd be surprised at how music can take a regular video and turn it to something special. Filmora has handpicked a number of tracks from real musicians so you can take your videos to the next level. 1.To preview each track, simply double click the song you'd like to hear. 2.When you've found the right track, you can drag and drop it into the timeline. 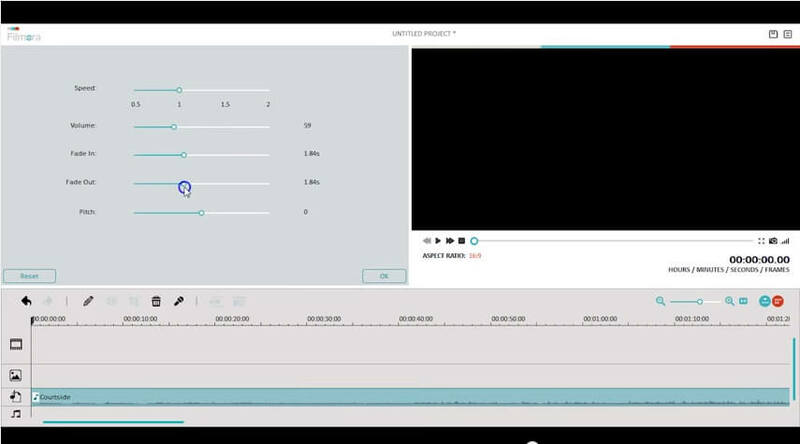 3.Once it's in the timeline, you can click on the edit button to make some adjustment to the music such as adding fade in and face out, adjusting the volume, speed and more. 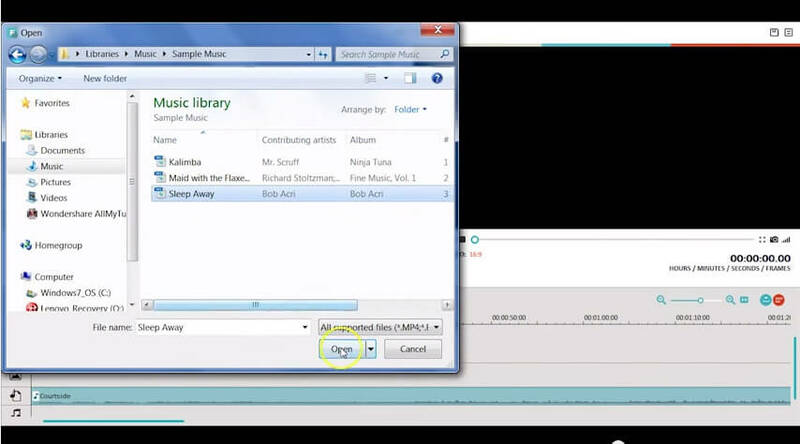 You can also import your own music by clicking Import in the Media section. Once your music is in the media library, you can drag and drop it to the timeline.